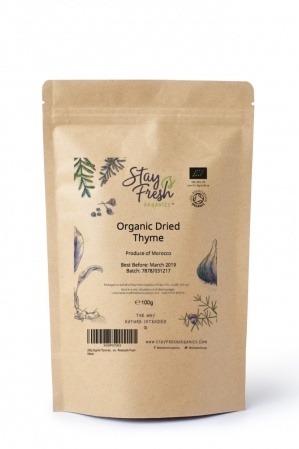 Thyme is one of the most versatile herbs, with a variety of cultivars and flavours. It grows quickly in sunny conditions but can also withstand cold winters. Thyme is used for its therapeutic properties in traditional medicine practices such as Ayurveda. Energy 101kCal, Protein 5.56g, Fat 1.68g Carbohydrates 24.45g, Dietary Fibre 14.0g.